Violet and Finn are 'meant to be'. A happy couple seemingly brought together by the hand of fate, they have a gorgeous son, and are enjoying their first family holiday in Florida. Until Violet returns to the hotel room to discover that her husband has left without a trace; and he's taken their child with him. Caitlin and Finn have been best friends since the first day of college. But friends don't ask you to hide their kidnapped son, threatening to reveal a secret which could destroy your family if you don't. Do they? 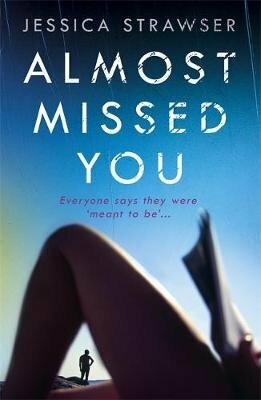 Told through the viewpoints of Violet, Caitlin and Finn, Almost Missed You is a powerful story of love, betrayal, and secrets that maybe shouldn't be kept. . .